His recipe for good shine proves he was a man of his word: corn, sugar, and good mountain spring water. In fact, we are proud to make our smooth spirits with fresh English Mountain Spring Water through a partnership with our friends down the road. They deliver 300 – 600 gallons at a time directly to our distillery for use in our fermentation and blending. When you visit the distillery, be sure to buy a bottle of their water to taste what real, crisp spring water is supposed to be! 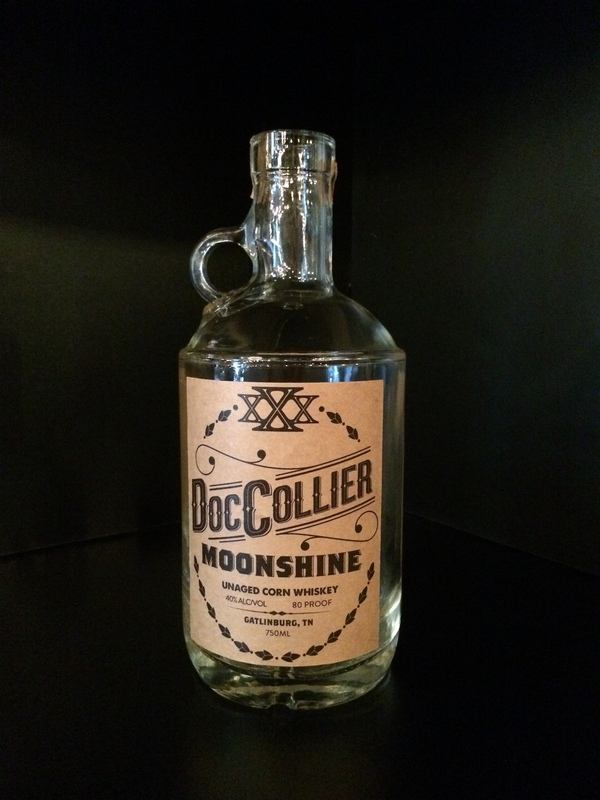 Our “straight off the still” high proof moonshine product. No filtering, no gimmicks, just 100% high proof shine! Doc Collier’s Family Recipe. Might taste like something you would get from a truck or trunk here in the Smokies! Fruit is imported from the “Cherry Capital of the World” Traverse City, MI. Soaked in moonshine for taste. Made with a White Peach juice which was chosen for its sweetness and low acidity. Produced with Blackberry Juice. A little Sweet and Tart in taste. Definitely worth a scramble in the local bramble! Green Apple with a taste as sweet as candy! Root Beer, Vanilla, and Moonshine make up our flavor of the month and it is a MUST try when you stop in. A sweet and smooth finish like no other root beer in town! Pineapple, Orange, and Cranberry come together in sheer perfection! One sip and you will have sun and fun at the beach on your mind. Our version of a Cinnamon Moonshine. It’ll light your fuse or burn your Bunsen! 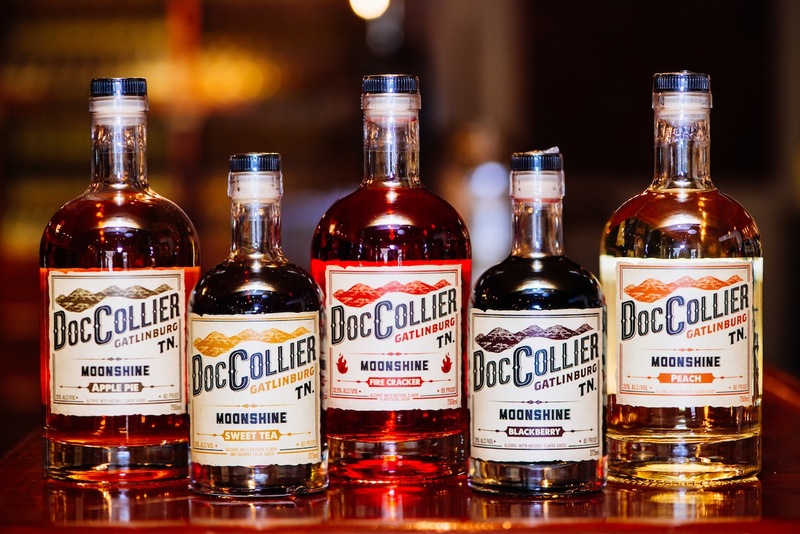 Ask about our limited run of assorted moonshine brandy – using local wine from the Rocky Top Wine Trail! Offerings have included blueberry and Appalachian Gold-honey! Taste just like your Grandmother’s homemade banana pudding! A nice blend of apples and a house blend of spices. Taste like dessert at grandmas’, you can even taste the crust. A bold oak flavor with a slight hint of vanilla at the end.